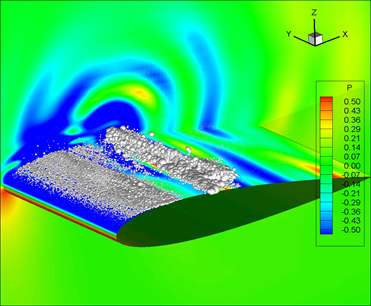 Viscous Flow Module | 3DynaFS-VIS | Dynaflow, Inc. 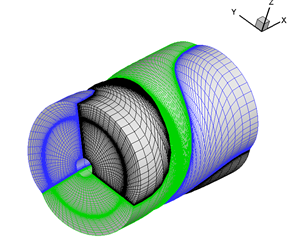 The 3DynaFS &COPY; viscous module solves the incompressible Navier-Stokes equations using an artificial compressibility method. The solution procedure can be marched in pseudo-time to reach a steady-state solution or can use a dual time-stepping scheme to obtain a time-dependent solution. The code uses a first-order Euler implicit time-difference scheme, a third-order accurate flux-difference upwind splitting scheme for convection terms, and a second-order central differencing for the viscous terms. 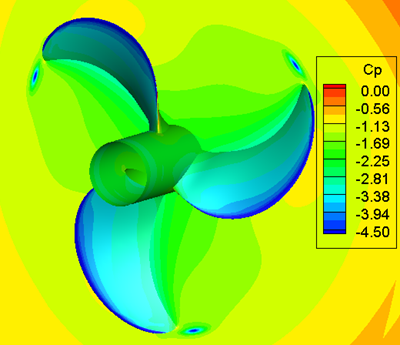 Moving overset grid scheme for simulation of rotating propeller flow field. 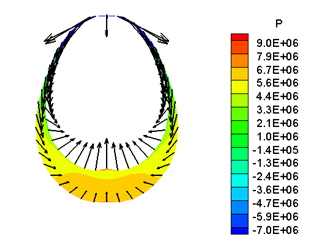 Pressure field behind a rotating propeller with k-ε model. Ship waves simulated with Level Set method. 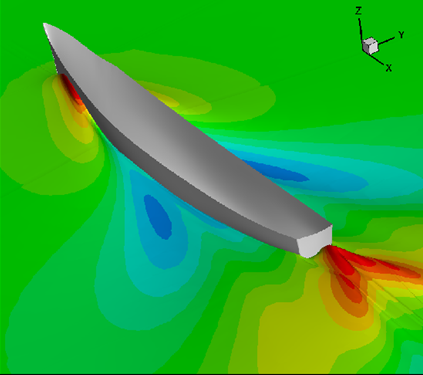 Plunging jet simulated with Level Set method. 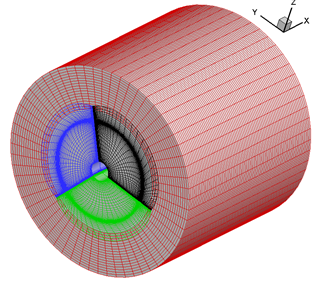 Cavitation suppression in tip vortex core by polymer injection. 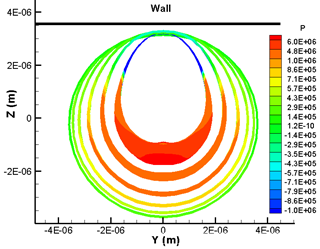 3DynaFS-Vis&COPY; can be coupled with the Lagrangian bubble tracking module, 3DynaFS-Dsm&COPY;, to simulate two-phase bubbly flows which can be occur in many industrial, marine, chemical, energy and other applications. Cavitation sheet and bubble clouds on a hydrofoil. Bubble wake of a liquid plunging jet. 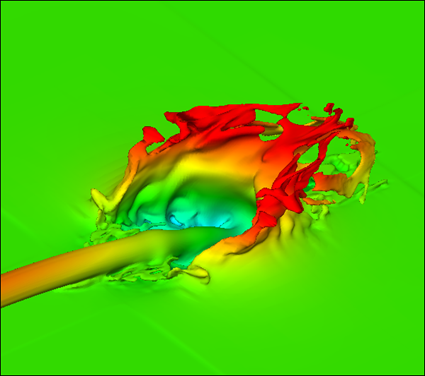 3DynaFS-Vis&COPY; can be coupled with the potential flow solver 3DynaFS-Bem&COPY; to model for example the dynamics of thick-shelled micro-bubbles and study shell breakup mechanism. 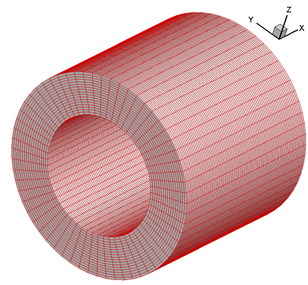 The flow in the thick viscous shell layer is solved using 3DynaFS-Vis&COPY; , while 3DynaFS-Bem&COPY; allows modeling complicated boundary geometries and addresses non-spherical deformations. 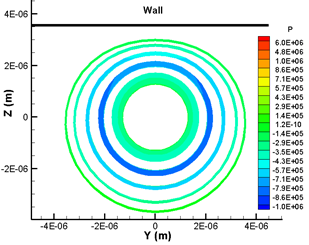 Highly viscous liquid in a thick shell prevents bubble from forming a reentrant jet towards the wall. Shell breakup appears to be due to drainage of the liquid shell near the wall.